Stealth Trailer Manufacturing is the leader in enclosed cargo trailers in the Midwest. They provide the best bang for your buck, building value trailers that don’t sacrifice quality. 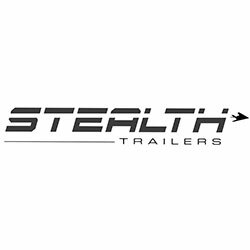 Stealth offers a wide range of trailers including enclosed cargo, open utility, car haulers, and snowmobile trailers. At Country Blacksmith, we use the stealth trailer lineup to offer our customers a robust line of customized, feature rich trailers. Whether you are looking for a concession trailer, cargo camper, toy hauler cargo, pulling tractor, car hauler with lifts, a bathroom package or something completely different, Stealth will get it done. Contact us today for your custom Stealth Trailer! You will get a blueprint drawing of your trailer before production to ensure you are getting exactly what you want!